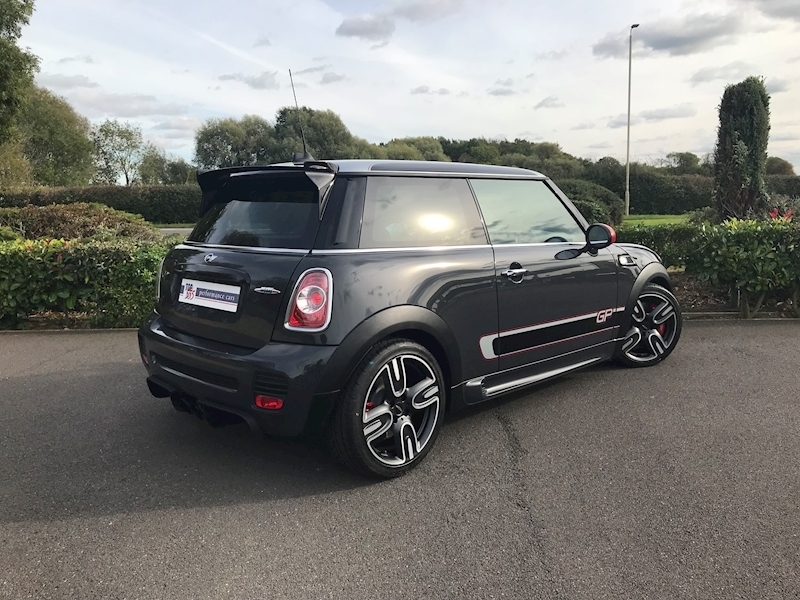 17" Cross Spoke Challenge Alloys, Carbon Fibre Rear Spoiler, Bluetooth Phone Preparation, Automatic Air Conditioning, Bi-Xenon Headlights, Leather/Dinamica Recaro Sports Seats, Heated Seats, Black Piano Interior Trim, Privacy Glass, Black Headlights, DAB Radio, USB Audio Interface, Thunder Grey Paint With Silver Roof, Interior Light Package. 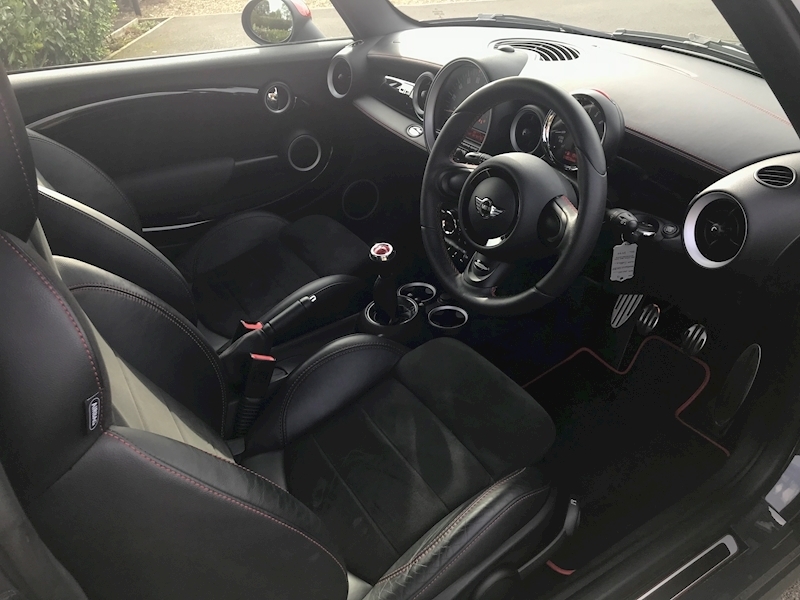 TOP 555 Are Delighted To Offer This Exceptional Mini Cooper John Cooper Works GP For Sale One of Just 2,000 Examples Worldwide. 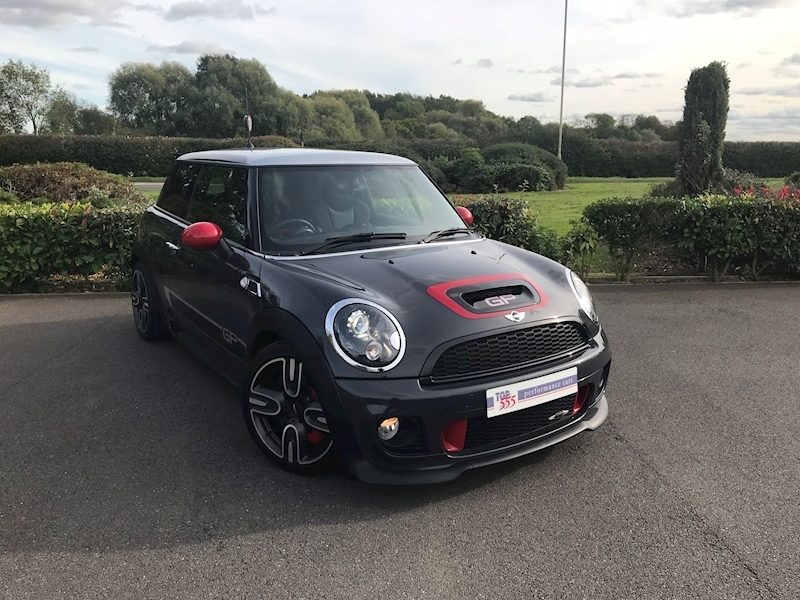 The Key Highlight Features Over A Standard Mini Cooper JCW Include Completely New Suspension And Brake Components (Six Piston Front Callipers) The GP Also Sits 20 MM Lower At The Front And 15 MM Lower At The Rear. 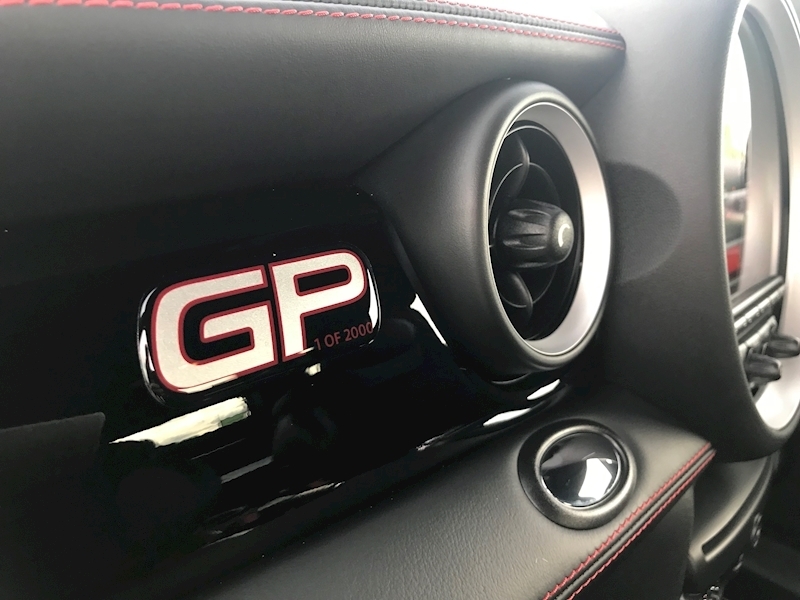 The GP Also Gets A Different Setup Electronic Differential, Increased Front Camber, ECU Engine Map Which Increases The Power Output From 208 BHP To 215 BHP, Removed Back Seats In Favour Of A Strut Brace And A Bold Diffuser And Carbon Fibre Spoiler offering 90% more downforce than the standard John Cooper Works. Full Mini Service Service History - Freshly Serviced.